Consolidated Fire & Steam are certified distributors and installers of quality OaseTech Air & Dirt Separators to suit any boiler application. 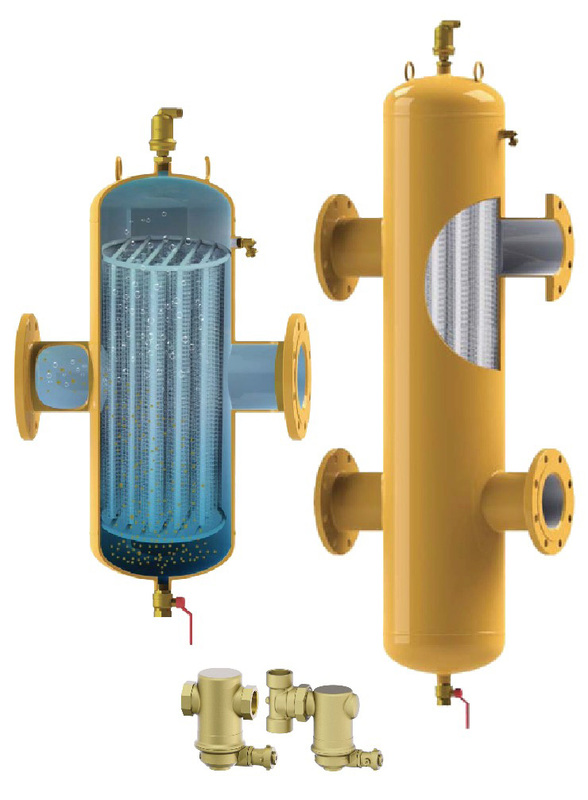 With the combined advantages of Air Separator micro-bubbles exhausting device and Dirt Separator micron dirt separator, the Twin Separator micro-bubbles exhaustion and decontamination device can quickly and effectively remove free gas, micro-bubbles, and dissolved gas in the system, while at the same time continuously collecting dirt in the circulation system and easing the dirt accumulation within the pipelines. 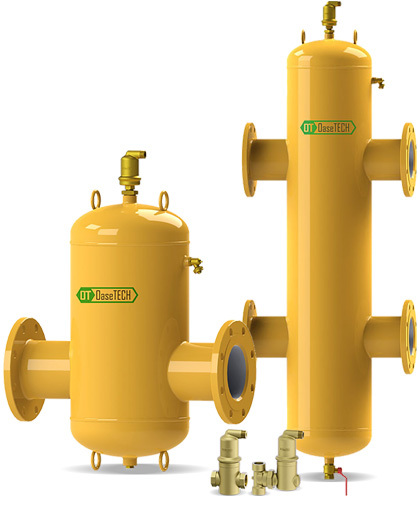 The micro-bubbles deaeration device can quickly and effectively remove free gas, micro-bubbles, and dissolved gas from the system, and effectively solve gas jam, gas whistling as well as any problems in the system that impact the safety and heat economy of the system. The micron decontamination device can continuously collect the dirt in the circulation system, ease the dirt accumulation within the pipelines, reduce the tear and wear of the equipment, and lessen the increased pressure loss so that the system’s lifetime can be prolonged, and the precision equipment well protected, and the equipment can operate as originally designed. 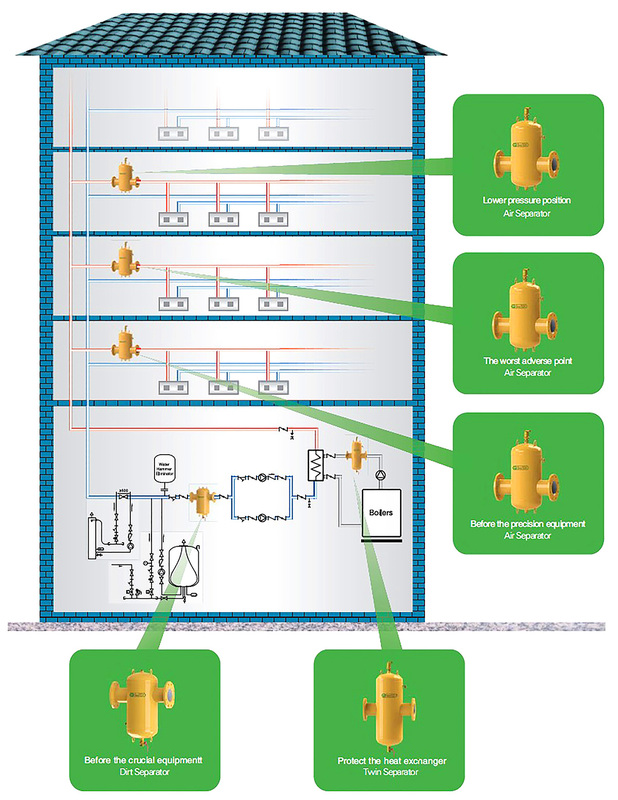 Good placement of the separators achieve the optimum system performance.